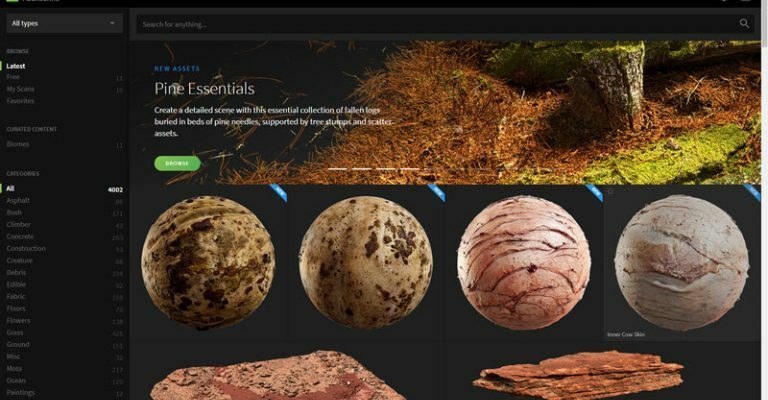 Quixel has updated the Megascans website improving the user experience, re-rendering all assets and adding several new free models. New tags have been added to all items making searching for the right scan easier, and it’s now possible to search by environment, receive notifications on updated content, and download assets with more control. You can see the changes on the Megascans website where it’s also possible to download 11 free samples (login required).